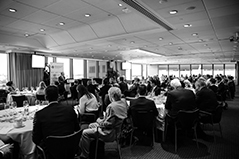 In addition to our core events program, we regularly host other industry events such as infrastructure symposia, Infrastructure Partnerships Australia policy paper launches and events for leaders from state and Federal governments to make significant announcements. 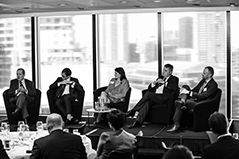 Infrastructure Partnerships Australia’s Major Projects Symposiums Series focuses on showcasing the project pipelines and forward outlook as well as the key reforms and drivers for infrastructure policy and procurements across Australia and New Zealand. 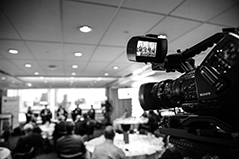 With symposia held across New South Wales, Victoria, Queensland, South Australia and New Zealand the series aims to better connect the private sector with relevant departments, delivery agencies and major governments across the Australia and New Zealand markets. Each event boasts an impressive array of key note and panel sessions, with an opening address from the Premier, reports from Ministers and Secretaries as well as updates from the heads of the major delivery agencies responsible for executing the forward project pipeline in each jurisdiction. Convened in conjunction with the Australia – Canada Economic Leadership Forum, the Australia-Canada Infrastructure Symposium provides a bi-annual opportunity for infrastructure leaders across each market to compare notes on the policies, projects and reforms in each market.